J.D. Power and Canadian Black Book have come together in a new partnership designed to provide used-vehicle transaction data to Canadian dealers, combining the real-time used-vehicle retail transaction data from J.D. Power’s Power Information Network and CBB’s online valuation tool. The two companies are collaborating on used-vehicle market transaction data, and the new information will be added to CBB’s electronic online service and made available to current subscribers of the tool at no additional cost to users. And in this environment of high used-vehicle prices, it is even more important for dealers to get the most bang for their buck in the auction lanes. Though the ADESA Canada Used Vehicle Price Index showed wholesale prices remained unchanged from March, rates remain elevated. Dealerships who participate in the PIN program will receive information such as the average transaction price for each vehicle model; the average number of days each vehicle sits on dealer lots before being sold; and the average dealer cost and gross profit for each model. 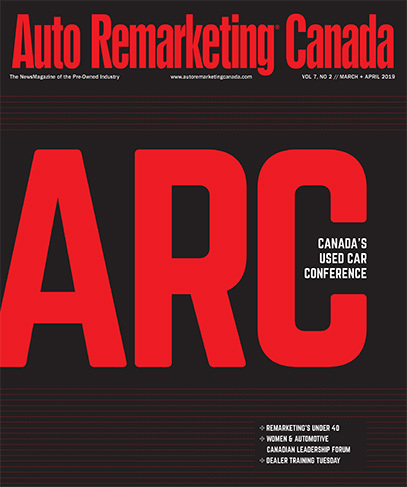 Among other services, Canadian Black Book provides present and future vehicle values to help dealers calculate vehicle wholesale, trade-in and lease residual values. Highlighting the logistics, select PIN data will be added to the CBB Online service at no additional charge for automakers’ franchised dealers that subscribe to CBB’s services. Furthermore, subscribing dealers participating in the PIN data program will receive an extended set of data through CBB Online. “In exchange for participating in the PIN program, automotive dealerships can use PIN data services at no charge. Dealers receive PIN data on a weekly basis for all of Canada as well as specifics on their local market,” company officials shared. Also, in another deal to come out of the new partnership, for a limited time, any Canadian OEM franchised dealer who joins J.D. Power’s PIN program will receive a full-year subscription to Canadian Black Book’s Vehicle Valuation Products. And though used supply is expected to expand slightly in the coming years, pushing prices down, rates remain high for quality, pre-owned vehicles — making these types of tools all the more important for dealers. According to the ADESA Canada Used Vehicle Price Index, powered by ALG, price movements were mixed by segment during April. Fullsize pickups saw prices rise by the fastest rate, spiking by 3.4 percent or $650. Minivans followed with a rise of 3.2 percent or $326. On the declining side, compact SUVs saw prices fall by 3.1 percent or $417, leading the pack for price falls. Next up were the midsize cars with a 2.9 percent drop or $299, mid compact cars with a 1.3 percent or $114 slide, and midsize SUVs, with a decline of 1 percent or $136. According to the latest ALG Canada Industry Report, used supply is forecasted to rise slightly over the course of May and June, which the company said should have lead residuals to drop by a slight 0.05 percent. The premium subcompact segment displays the largest negative impact, predicted to fall by the 0.05 percent average, whereas the microcar segment shows the largest positive impact of 0.4 percent.